What is PE Ratio Formula? – Price to Earnings (PE) is one of the most popular ratios formulae is being used by investors for valuing companies and taking investment decisions. It may be interpreted as the amount that investors are willing to pay to receive one unit of earnings. Considering the Apple example, you would have to pay $13.89 for every dollar of earnings from Apple. In other terms, say if Apple’s earnings and share price remain stable at the current level, it needs any investor 13.9 years to recover the share price paid today. 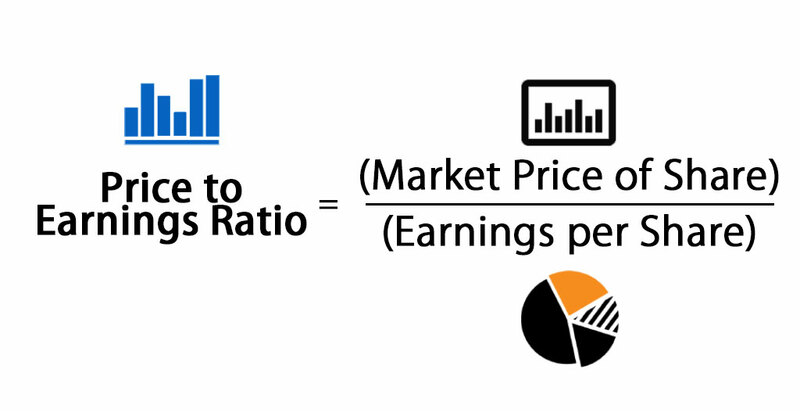 Breaking down PE Ratio Formula – PE itself does not have much relevance in isolation but needs to be compared across time/companies to make informed decisions. But for that comparison to be uniform, we may need to adjust price and earnings for various anomalies like stock splits, one-time gains/losses, dilution effect from convertibles and options, price volatility, etc. For example, take Tata Power Ltd.’s FY17-18 financials, which disclosed loss from discontinued operations of Rs 71.74 cr; we need to consider trailing PE (based on price of Dec 14, 2018, and earnings of previous fiscal) of 8.33x which excludes this loss rather than the PE of 8.11x which includes this loss. Trailing PE vs Forward PE – Trailing PE is calculated using actual earnings per share over a specified previous time period. Forward PE uses projected earnings per share in its calculation. Trailing PE is more reliable while forward PE could be misleading if estimates are faulty. This section can be deleted: When people talk about PE it is usually trailing PE. For example, assuming Apple’s earnings growth rate of 11.57% next year (analyst forecast from Nasdaq), forward PE as of Dec 14, 2018, would be 12.45x. For a growing company, the forward PE would be lower than the trailing PE. PE of Index– PE of stock indexes gives an indication of the health of the market representing the index and future direction of the stock prices. When the index rises faster than earnings of the companies comprising the index, PE expansion occurs and vice versa. For example, the Sensex PE touched a high of 29 during the dot-com bubble and low of 12 during the sub-prime crisis representing an overpriced and underpriced stock market of India respectively. Earnings yield– Earnings yield is the reciprocal of PE ratio, e. Earnings per share / Price per share. So, Apple has an earnings yield of 7% based on an above calculation which means every dollar invested would generate EPS of 7 cents. The earnings yield of companies is useful when comparing with yields of bonds. Modified PE– Investors can also use a modified version of PE by using free cash flow per share instead of earnings in the denominator and adjusting for accounting issues, net debt repayments and capital expenditure needed by the company to continue the operations and expected growth. Relative Valuation– PE standardizes stocks across different price and earnings and is a good indicator for identifying overpriced and underpriced stock through comparison across time and peers. Overpriced and underpriced markets/sectors can also be located through this ratio. At initial glance, Apple looks more attractive compared to Microsoft considering forward PE. However, the forward PE calculations take into account the high growth estimate of earnings of analysts in case of Microsoft. We cannot compare PE of Microsoft or Apple with Kraft Foods since its an altogether different business with different drivers. High PE and Low PE– While we usually interpret high PE as expensive and low PE as attractive stock, there is no single magic number demarcating high and low PE. The normal range for PE could be quite different across industries based on differing expectations. Hence, it would be wrong to compare the PE of companies belonging to different industries. For example, the technology companies may witness average PE of around 20 backed by high growth rates and high return of equity vis-à-vis textile companies witnessing PE of 8. Small cap and large-cap stocks– Small-cap stocks have usually remained attractive due to relatively faster earnings growth. Its easier for a small company to double its size compared to a large company. Accordingly, PE of small caps is usually higher, trading at a premium compared to large caps. Growth and Value Stocks– Growth stocks generally have relatively high PE compared to value stocks due to bullish expectations of investors regarding a high growth rate of future earnings. Value stocks are assumed to be underpriced in the market compared to their intrinsic value as perceived by the investor and hence have low PE. You may witness growth stocks in high growth industries like pharma while you may find value stocks in the financial industry or commodity producers priced at low valuations. Limitations in computation– PE provides room for manipulation since company management can fudge earnings reports for better valuations. Hence EPS calculations have to be monitored closely and adjusted for uniformity in comparison. Furthermore, PE fluctuations would occur due to price fluctuations, hence it is advisable to use average price over a period of time for PE computation. For companies with zero or negative earnings, PE ratio formula is of no use like in the case of Tesla Inc. with trailing 12 months EPS of -$10.67. In such cases, relative valuation can be done through the other multiples like EV/EBITDA or P/S. Limitation in interpretation (leverage and growth)– PE ratio does not account for the impact of debt on valuation and performance. A high debt company may exhibit an attractive PE but may also exhibit higher volatility in earnings. A better metric would be EV/EBITDA in case of comparing companies with different degrees of financial leverage like in case of the utility sector. PE also does not tell anything about the growth prospects of a company. A more useful measure to compare firms with different growth rates would be PEG ratio which is PE divided by earnings growth rate for a specified time period. You can easily calculate the PE Ratio using Formula in the template provided.